By utilizing the combined power of our institutional investor network, we're able to offer our members some of the highest federally insured CD rates available today. With a complete array of sophisticated portfolio tracking tools & reports, additional CD management software becomes an unnecessary purchase. 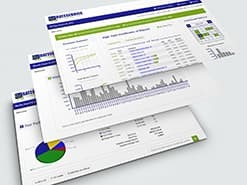 Obtaining information directly from the FDIC & the NCUA, we provide our members with both current and historical financial data on every Certificate of Deposit. Using our exclusive Maturities at a Glance CD laddering system, you're able to target exactly where your investments are currently placed and fill any gaps in your ladder that you may have. Copyright ©2019, North American Resources, Inc. All rights reserved. Use of our website constitutes acceptance of our legal and privacy statements as listed above. The information set forth herein was obtained from sources which we believe reliable. However, we do not guaranty it's accuracy. When investing in Certificates of Deposit, it remains the investors sole responsibility as to their eligibility for FDIC / NCUA insurance coverage and suitability. Please double check your portfolio before doing any investing.